1.4 In this policy, "we", "us" and "our" refer to The Institute of Civil Funerals. For more information about us, see Section 12. 3.2 We may process data about your use of our website and services ("usage data"). The usage data may include your IP address, geographical location, browser type and version, operating system, referral source, length of visit, page views and website navigation paths, as well as information about the timing, frequency and pattern of your service use. The source of the usage data is Google Analytics . This usage data may be processed for the purposes of analysing the use of the website and services. The legal basis for this processing is our legitimate interests, namely monitoring and improving our website and services. 3.3 The account data may be processed for the purposes of operating our website, providing our services, ensuring the security of our website and services and maintaining back-ups of our databases The legal basis for this processing is our legitimate interests, namely the proper administration of our website and business. 3.4 We may process information contained in any enquiry you submit to us regarding our services ("enquiry data”). This data may include your full name & email address. The enquiry data may be processed for the purposes of providing the relevant information or service to you. The legal basis for this processing is consent. 3.5 We may process information that you submit to us using our Feedback form (“Feedback data”). This data may include your full name & email address. This data may be processed for sharing with the relevant celebrant and/or selected Council of Management members. The legal basis for this processing is consent. 3.6 For our members, we may process the information that you post for publication on our website in the ‘Find a Celebrant’ section (“members data”). The publication data may be processed for the purposes of enabling such publication and allowing users to search members and contact them with regards to using their services. The legal basis for this processing is consent. Members are able to disable the public listing in the members area. 3.7 For our members, we may process information that you provide to us for the purpose of subscribing to our email notifications and/or newsletters ("notification data”), via Mailchimp (MailChimp has certified to the EU-U.S. Privacy Shield Framework). The notification data may be processed for the purposes of sending you the relevant notifications and/or newsletters. The legal basis for this processing is consent. You can choose to opt-out of our newsletters at any time. Email address from feedback forms will be retained for a period of no more than 1 year to enable us to contact you for further details of your feedback if necessary. Details provided on contact forms will be retained for a period of no more than 1 year to enable us to follow up on your contact should it be appropriate. (a) the period of retention of your full name & email address will be determined based on the time during which it is still actively in use by us for means of a query or complaint. .
7.13 You may exercise any of your rights in relation to your personal data by written notice to us or by email. 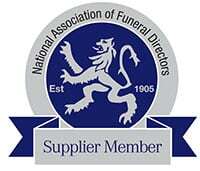 8.1 This website is owned and operated by The Institute of Civil Funerals. 9.1 Our data protection officer's contact details are: Barbara Pearce; tel: 01480 861411; email: [email protected].